The seed for this heritage rye was sent to me from a friend in Estonia, with whom I have been exchanging seed for a couple of years. This Sangaste Rye is a bedrock staple of Estonia’s past. Today it is used for making bread and vodka. 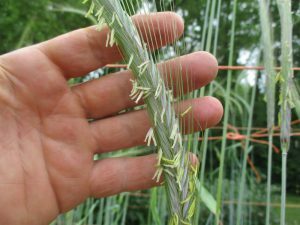 It is considered to be one of the oldest cultivated variety of Rye in the world. It is exciting to have this grain available given that rye is somewhat overlooked here in the US as a staple crop. There is a lot of good info online about this grain and history. I do not have enough grain yet to cook with so I can’t give a flavor testimonial, but It must be pretty good since there is an restaurant in Southern Estonia where the entire menu is devoted to Sangaste Rye. 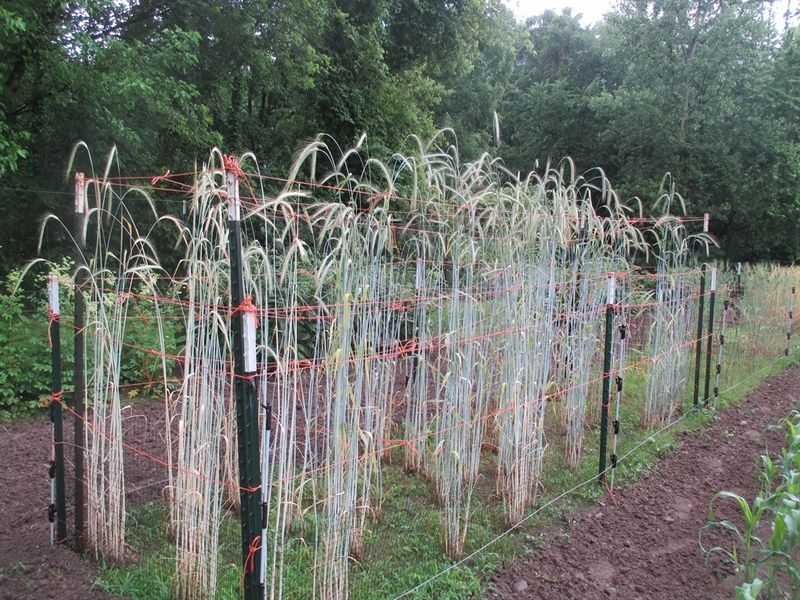 Sangaste is very tall, reaching 7′, and has very strong stalks. Some plants had 12 tillers with grain heads on each. 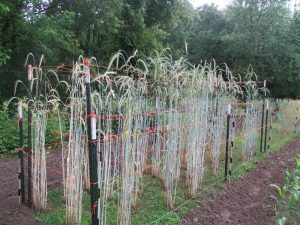 I am not sure how this variety stands up to lodging, as I tied my plants up to safeguard my initial grow out of precious seed. I planted the previous year on October 5th and harvested on July 13th. 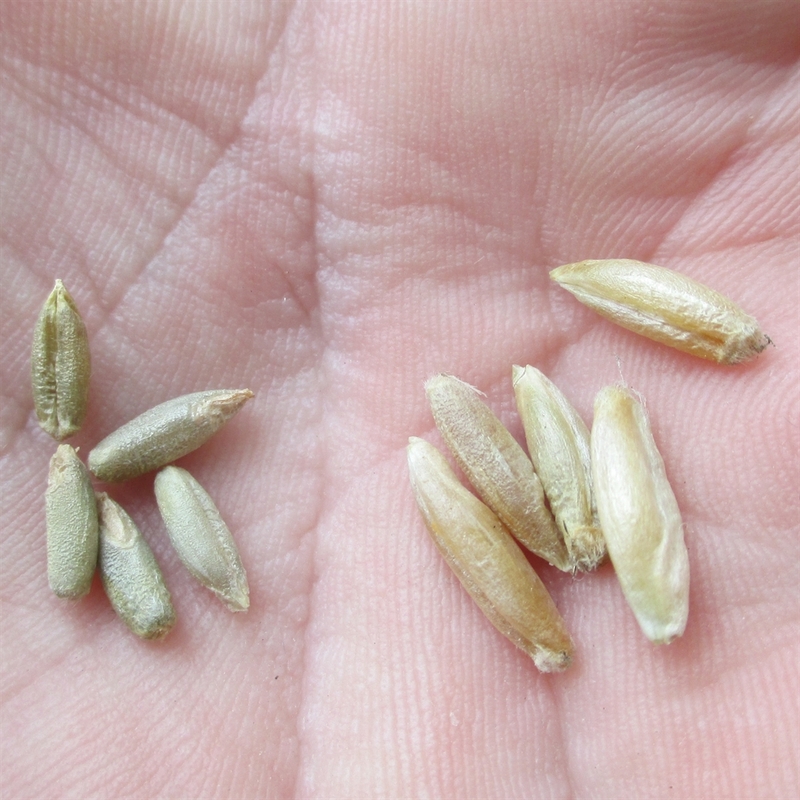 The seeds are much larger than common cereal rye and I suspect the yields from Sangaste would be quite good once the crop is adapted to my region over a few seasons. There was some presence of ergot once I threshed the grain (8 infected kernels in a couple of pounds of seed).